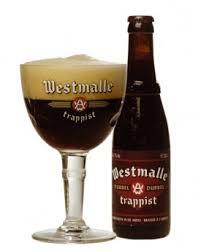 Another choice of Trappist, the famous Westmalle double. 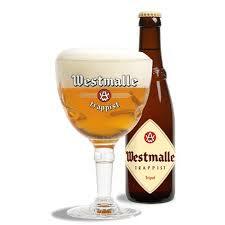 The name double indicate that the beer doubled the original head ingredients of the original Trappist beer of Westmalle. A tradition that other beer brewers have taken over. Westmalle is the mother of all Trappist beers. Therefore it deserves his place in our collection. Aromas of fruity ester and banana. A Long finish and gentle mouth feeling will be your final reminder. Another choice of Trappist, the famous Westmalle trippel. 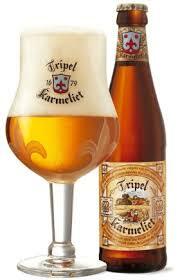 The name trippel indicate that the beer tripled the original head ingredients of the original Trappist beer. A tradition that other beer brewers have taken over. Westmalle is the mother of all Trappist beers. Therefore it deserves his place in our collection. Aromas of nuanced hops and banana. Soft creamy fruit, with a bitter accent. We selected 2 real Trappist beers for you. The label Trappist is only for beers where the entire production process takes place in the abbey. 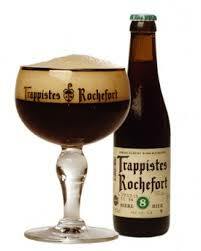 The 8° version is one of the three beers of Rochefort. Selected, because this beer offers the most complex tastes among the others Rocheforts. Spices, roasted cereals and dry fruit are recognizable as well in the scents as in the mouth. Another young cherry beer. The base is a brown Kasteel beer. 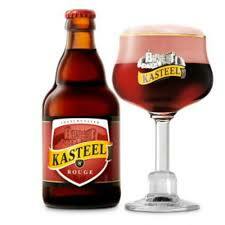 Mixed with sweet cherry liquors, result in Kasteel Rouge. The fruit flavors overwhelming your first smells. The taste is morel cherry, but then behind tastes of chocolate, coffee and vanilla, just to remind you of the mother beer. It's an excellent aperitif. Created in 1989. This is the strongest beer in our collection. With 11° far more heavy then our others. 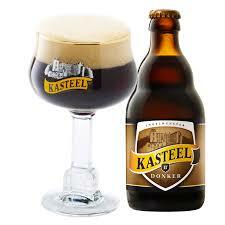 The creation of this beer found his inspiration in the Trappist beers. And they succeed well. Mixed scents from coffee, caramel and chocolates pleased the nose. The first tastes are variations off sweetness, ended in complexity. Lucifer is a recent brewed beer. A huge demand in the world of strong blond beers did Lucifer born in the 80-ties. It's a beer in the range of Duvel. However less bitter at the end. A fruity fullness will stretch your tongue. 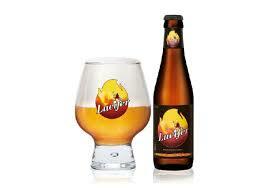 Lucifer with his own character deserve his place in our collection Belgian beers. Since 1970 , properly world’s best know export beer. 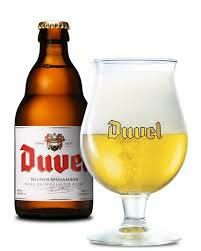 Loyal supporters claim, you never have a hang-over of drinking Duvel. However, be aware and drink responsible. The beer contain 8.5° alcohol. The reason of the pure beer is the choice of pure spring water. The main ingredient is barley, the refined bitterness comes from selective chosen Czech hops. Your Duvel smells like complex citrus. It taste slightly fruity, and with a typical Duvel hopped aftertaste. Once you tasted one, you 'll never forget this Duvel sublime end bitterness. 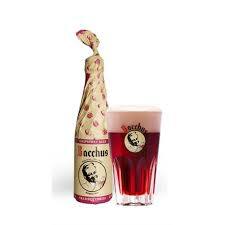 Belgians rich tradition of morello cherry beers, did brewery Bacchus decide to brew his own one. And what a result. They used the old brown Bacchus as base to make this cherry beer. This result in the deep brown color. Discover the aroma of ripe morello cherry. Taste sweet sour and bitter and end in fulness. A good aperitif for summer days or whenever you like to enjoy it. Leffe brown, since 1952. 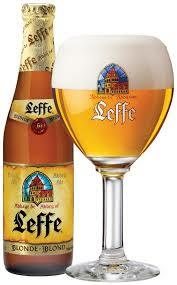 Originally from the patrons of the abbey of leffe. The beer is not brewed there. But the underground abbey water is still used to brew this beer. This brown beer, was already brewed 25 years earlier than his blond version. The taste of this beer is accessible and balanced. The typical roasted malt is responsible for the more sweet taste of the beer. If you like something sweeter, this is your symphony. Good aperitif beer. Leffe blond, since 1977. 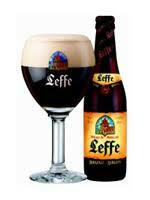 Originally from the patrons of the abbey of leffe. The beer is not brewed there. But the underground abbey water is still used to brew this beer. The taste of this beer is accessible and balanced. With flavors of vanilla, caramel and delicate sweet fruit, the harmony of sweet bitter and sour a well written symphony. Good aperitif beer. 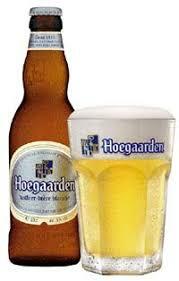 A more recent beer from Hoegaarden, the rosée is been brewed since 2007. However it's red color its a entire wheat product. The low alcohol percentage, made it an excellent beer for several servings. It's a fruit taste beer, witch also the lady's among us will appreciate. Since 1966. A refreshing beer, with some fantasy, it's like the sun fall's into your glass. However you should drink the beer cold, so that it can explore his full taste in your mouth. This beer is well know for his sour taste. Lovers even add lemon in the beer to pronounce the sourness. Therefore it is classically served with a slice of lemon. A perfect thirst lesson. Since 1926. One of the more famous products from the Inbev group. Originally and still brewed in the city of Leuven Belgium . Leuven a ancient city with a middle age character. 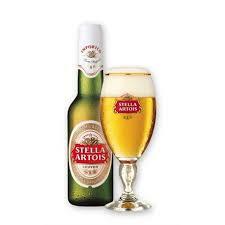 Well know for his university and off course for Stella Artois. The famous beer who Leuven students drink with pleasure in excessive quantities when they are celebrating the end of their examinations. One of the more bitter tasting pills , due to the harsh use of hopper.